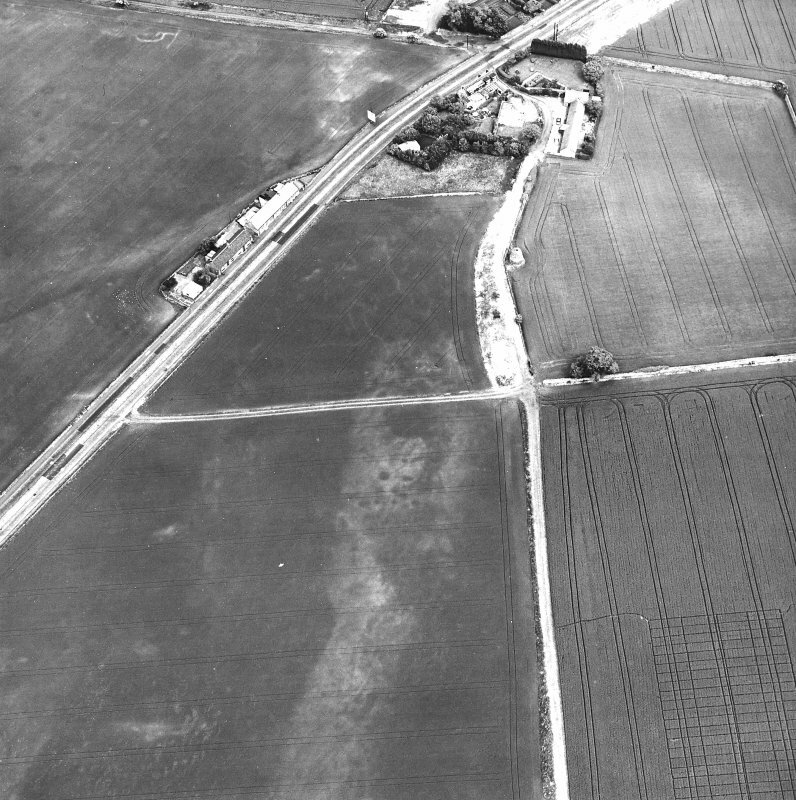 Dolphingstone, oblique aerial view, taken from the SW, centred on a series of cropmarks. 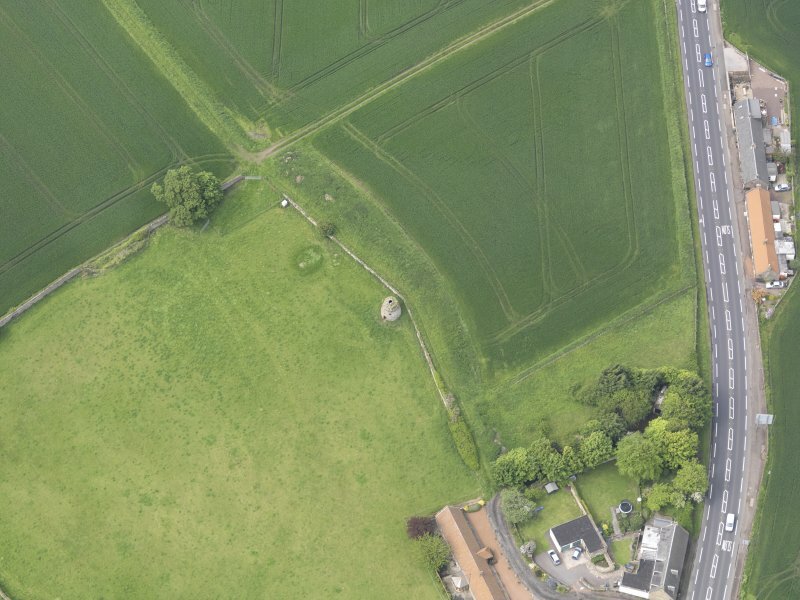 Oblique aerial view of Dolphingstone Doocot, taken from the E.
View of Dolphingston dovecot near Tranent from SE. 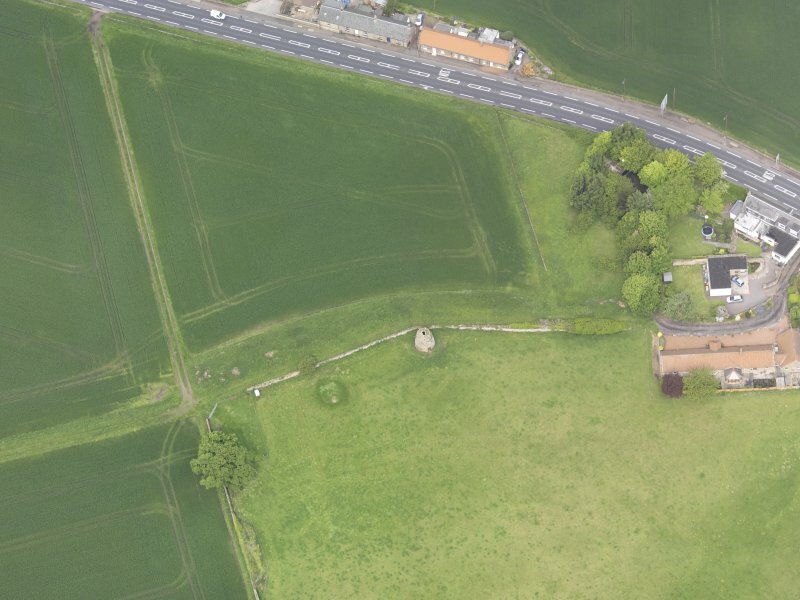 Oblique aerial view of Dolphingstone Doocot, taken from the SSW. 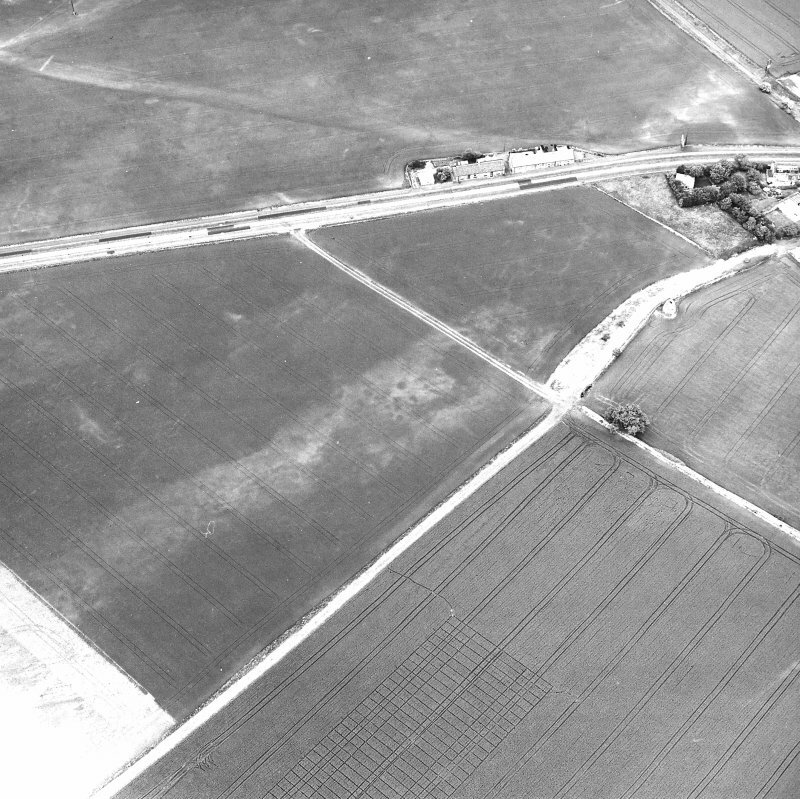 Dolphingstone, oblique aerial view, taken from the N, centred on a series of cropmarks. 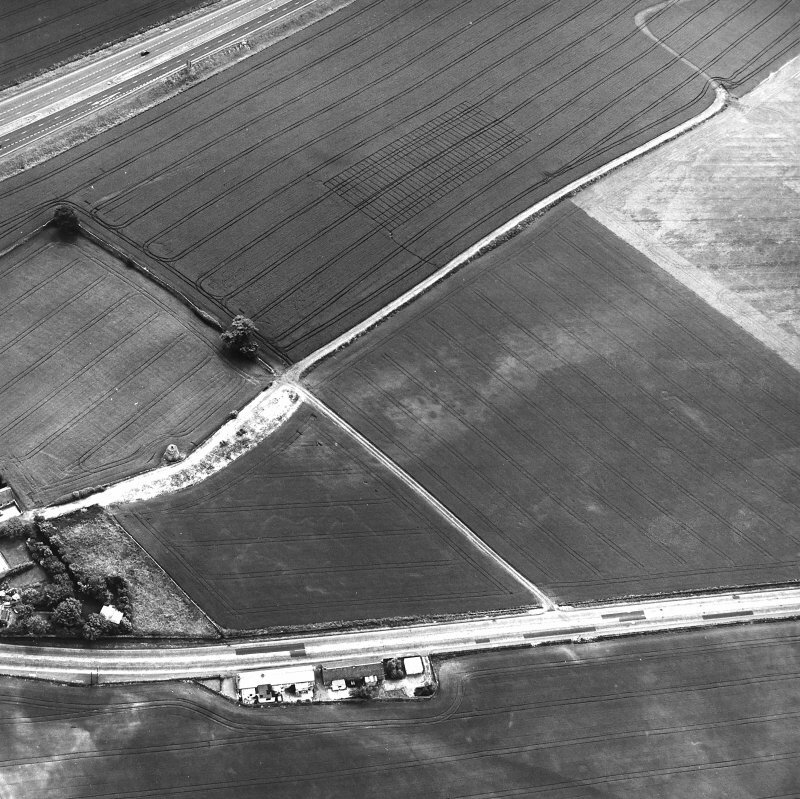 Dolphingstone, oblique aerial view, taken from the SSE, centred on a series of cropmarks. 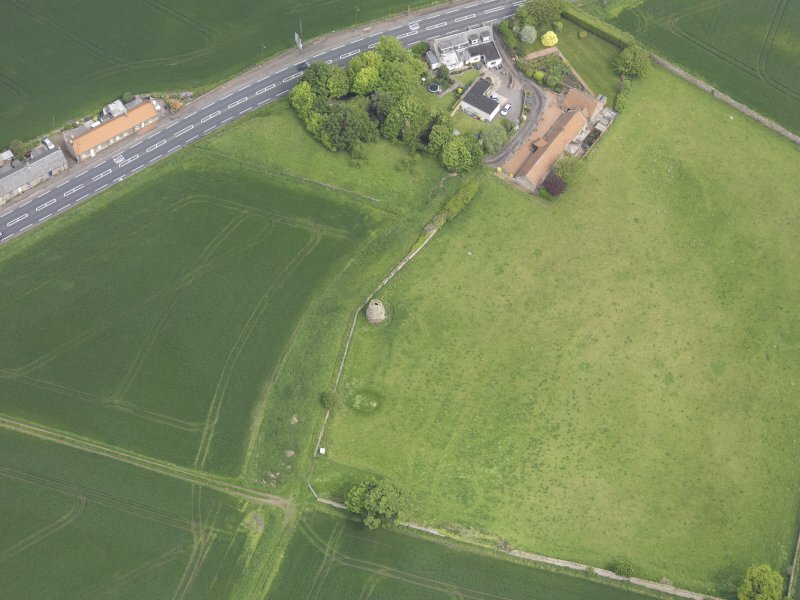 Oblique aerial view of Dolphingstone Doocot, taken from the SSE. 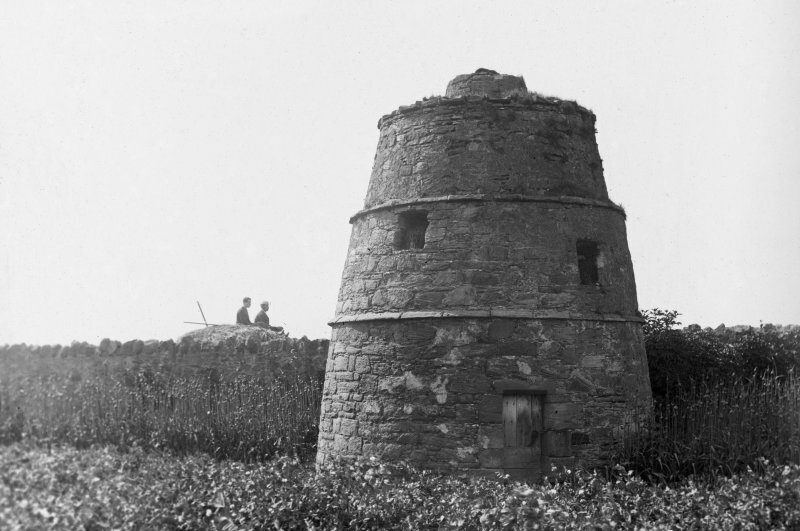 View of Dolphingstone dovecot from S showing a man with a camera beside it. Dovecot, Dolphingstone: This 17th century, beehive type dovecot measures 51ft in circumference at the base. It has a flattish domed roof covered with stone slabs; random rubble wall, partly harled, with two string courses. There is an entry for pigeons through an opening in the centre of the roof, and two other openings in the wall, about 2ft square. No nests remain. 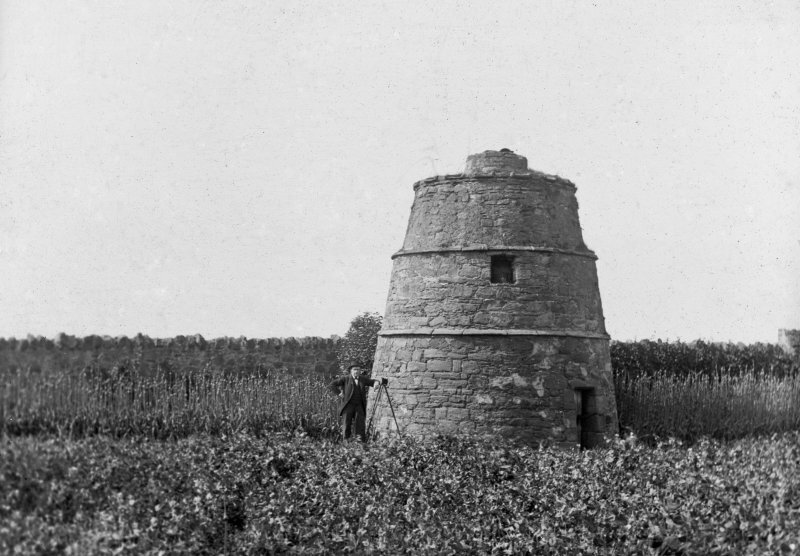 This dovecot is in fair repair (D C Bailey and M C Tindall 1963). (See NT37SE 7 for remains of associated house). This dovecot is as described by the previous authorities. Visited by OS (SFS), 26 August 1975. Contract between Robert Geddes, Scotston and James Somerville, mason in Lintoun, for a Dovecot 16' long and 14' wide with 560 holes. 3-stage beehive dovecot. Sandstone rubble. Pair of thumbnail-bead rat courses dividing stages; evenly arranged water-spouts at cornice level. Doorway at SE. Pair of square openings, randomly arranged, to middle stage, at SE.